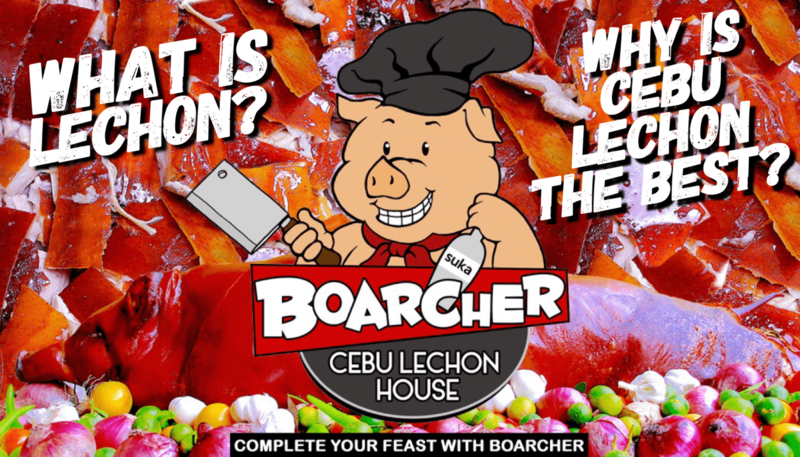 WHAT AND WHY: What is Lechon and Why is Cebu Lechon the Best? Why your next Lechon should be a Cebu Lechon! Why is Cebu Lechon the best? Basically, Lechon is a whole roasted pig. Prepping and roasting this Filipino favorite takes time and proper technique. It’s usually prepared and roasted for special occasions and events, such as anniversaries, birthday parties, reunions, weddings, etc. It’s not uncommon to find this carnivorous feast as the centerpiece of banquets, because of its mouth-watering taste and because of what it symbolizes – success, prosperity, and glory. Traditionally, the whole spit-roasted pig is let to roast above a bed of charcoals for about 2 – 4 hours –– depending on the size of the pig. Throughout the duration of the roasting process, the meat is continuously being smothered in its own juice and ingredients that were inserted inside its belly; while concurrently, the skin is slowly being transformed into this crispy and crunchy tidbit. 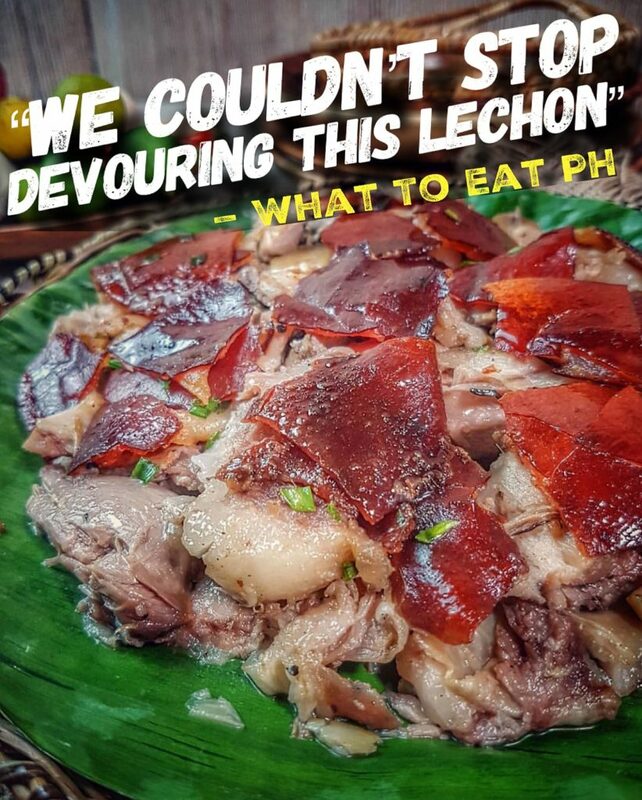 As a result, you’ll be letting your teeth sink into the scrumptious and succulent meat of the Lechon; while you concurrently crunch on its crispy skin! Hmmmmmm. Yum! Yum! Brought by the Spaniards during the Colonial Period, Filipinos throughout the years have honed their skill to perfection in roasting the perfect centerpiece for their feasts and festivities. As we have adopted the art of roasting Lechons, Filipinos have experimented and created their own variants and versions of Lechon. Hence, it is common to see different kinds of Lechons per region or area; with each having their own distinct ingredients used; and with each having their own roasting techniques applied. However, when it comes to Lechon popularity and arguably being hailed as the best variant, “Cebu Lechon” would definitely be the one to top off the list! Known for its flavorful meat, people go crazy when eating this heavenly variant of Lechon. It is known for its salty flavor, together with the mouth-watering taste of its garlic and onion blend. It’s actually very popular and sooooo good that it’s a must to eat Cebu Lechon when you’re in the province of Cebu. In other words, your trip in Cebu is not complete without spoiling your tastebuds with this mouth-watering and heavenly dish! As a matter of fact, avid Lechon eaters in pursuit of having Cebu Lechon for their events outside Cebu, would purchase a Lechon from Cebu and have it air-freighted and sent to their respective delivery locations. We kid you not! That’s how good it really is! Now, if you happen to be in Manila, and fancy having a gastronomical party in your mouth, give us a call because we got you covered! 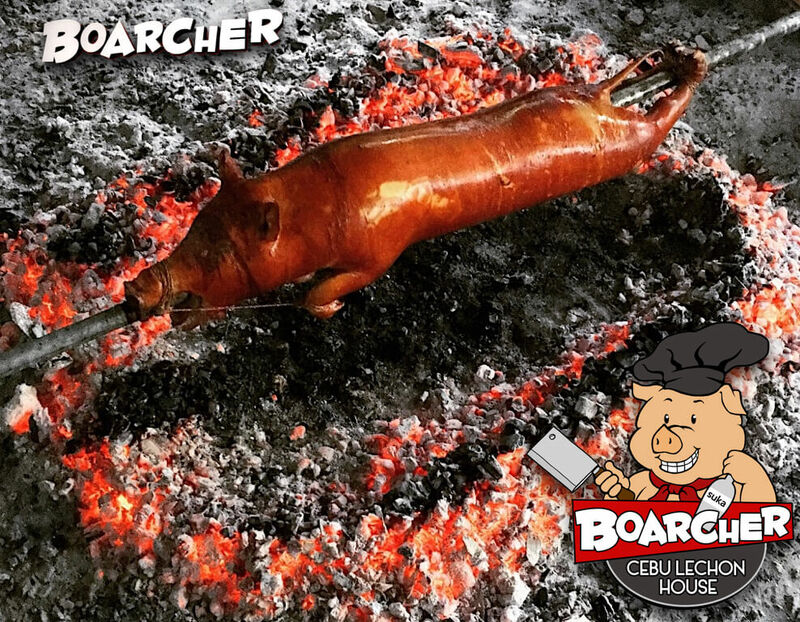 Boarcher Cebu Lechon House is based in Manila and we definitely will provide you an AUTHENTIC CEBU LECHON experience delivered right at your doorstep — anywhere and anytime in Metro Manila. We freshly roast your orders in Manila, sent straight out from our roasting pit and delivered to your delivery address. So, if you fancy letting your teeth sink into our scrumptious and succulent Cebu Lechon meat, while you concurrently crunch on its crispy skin, give us a call and let us help you complete your next feast and festivity here in Manila! We prepare and roast every order, the Cebuano way. Expect nothing short from having an authentic Cebu Lechon when you order from us. We only roast native pigs, in order to ensure that your teeth sink into the scrumptious and succulent meat of our Cebu Lechon; while you concurrently crunch on its crispy skin. We freshly roast your orders right here in Manila. We deliver your orders to your delivery location right out from our roasting pit wherever and whenever you need it. Nothing beats having an exceptional quality Cebu Lechon, while you create memories and celebrate your festivities with your family and friends.